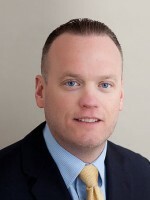 Craig Eberhardt is an owner, office manager, and full time real estate professional. He is a lifelong resident of Delaware County and went to school locally as well. Craig graduated from Msgr.Bonner High School in Drexel Hill, then went on to The Williamson College of the Trades in Media, and then continued to Delaware County Community College in Media. He received Degrees in Construction Technology and Engineering. Craig brings 15 years of residential lending experience and an additional 10 years of managing a very successful property and casualty insurance office. He uses his educational training and work history to better help his clients navigate the home buying and selling process. Whether he is going over different mortgage programs, explaining a home inspection report, breaking down home insurance coverage options, giving his clients home renovation ideas or explaining closing costs there are not too many areas where Craig can’t help give his clients sound advice. Craig is truly “client focused” and always put his clients need to the forefront. 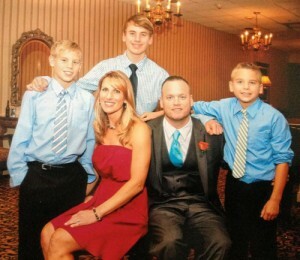 In his spare time, Craig loves spending time with his wife, Tricia, and their three sons Colin, Michael, and Sean. All three boys are very active in their township and school sport programs playing football and baseball. Craig grew up playing ice hockey since he was seven years old and you can still find him in an occasional men’s league game in the area – if your lucky! We opened Better Homes Realty to provide an improved, educated experience that is attentive to today's consumer. The Agents of our tech savvy, boutique brokerage are focused on customer happiness, not corporate-imposed sales goals. All Better Homes Realty offices are independently owned and operated. © Copyright 2015 First Keystone Realty, LLC DBA Better Homes Realty. All right reserved.